The Nominations for the 76th annual Golden Globe Awards were announced on Thursday morning show live from the Beverly Hilton Hotel. 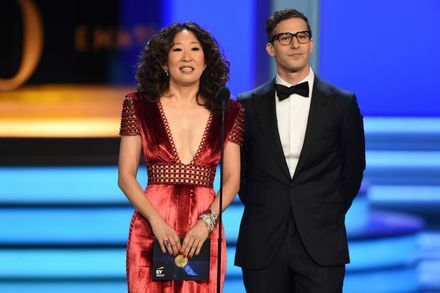 And now we got to know that actors Sandra Oh and Andy Samberg have been announced as hosts of the 2019 Golden Globes as Kevin Hart. Speaking about the Golden Globe Awards, there is an amazing list of nominations that we would like to share with you. Golden Globes will be awarded on Sunday, January 6th, 2019. Stay Tuned! Kevin Hart Gave Up His Hosting Gig For The 2019 Oscars Over Homophobic Controversy! There’s more to ‘The Marvelous Mrs. Maisel’ Season 2 than meets the eye!